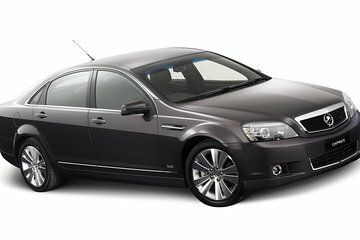 Enjoy a hassle-free arrival in Perth, Western Australia, with this private transfer service. Meet your driver at Perth Airport, and relax on the journey to your hotel in the city’s central business district. These private vehicles can accommodate up to three passengers. A convenient, efficient way to start your stay in Perth! Skip the stress of finding a taxi or sharing a shuttle at the start of your trip. Simply enter your details when you book, pay in advance and then show your voucher to your driver when you land in Perth for your private transfer service to your hotel in the Perth CBD. Travel in a comfortable private vehicle for up to three passengers, and enjoy the ride without worrying about taxi meters or getting lost. Price is per person, based on three passengers per vehicle. Each traveler is allowed a maximum of 1 suitcase and 1 carry-on bag. Oversized or excessive luggage (e.g. surfboards, golf clubs or bikes) may have certain restrictions; please inquire with the operator prior to travel to confirm if your excess luggage is acceptable.